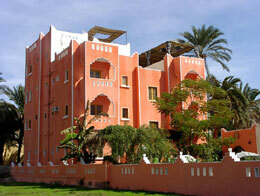 Welcome to El Fayrouz Hotel ! 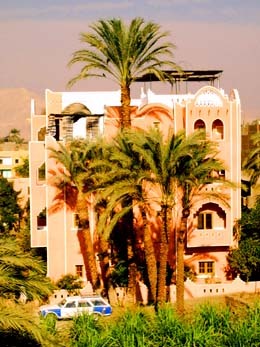 At the El Fayrouz Hotel we offer you a very special stay - away from the usual tourist paths. A place you will never forget! 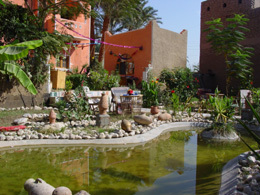 Here - on the fringes of the village Gezira El Bairat - surrounded by sugar cane fields, palm trees and small water channels you will find an oasis of peace which invites you to stay a while. 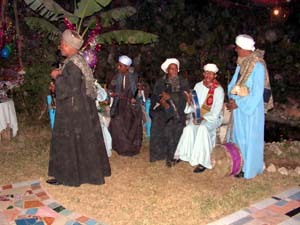 You will have the chance to experience the ambiance of typical Egyptian village life. 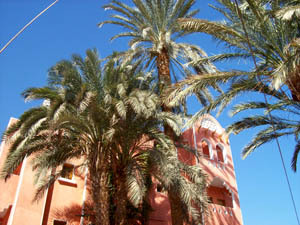 We are proud that many tourists who have visited Luxor call us the most recommendable hotel on the Westbank. 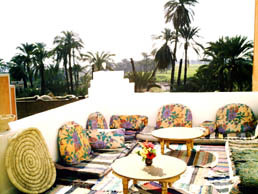 The German-Egyptian management is attaching importance to a comfortable, cosy and familiar atmosphere at the hotel. 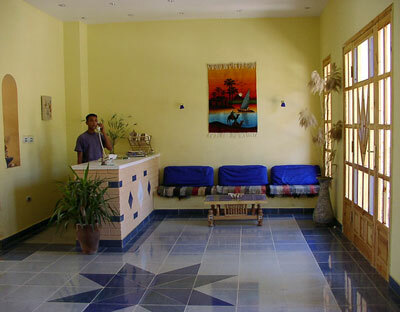 We are looking forward to welcome you as our guests. 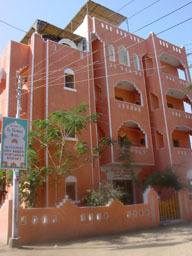 Our hotel was opened in October 2002 and extended thrice since then. 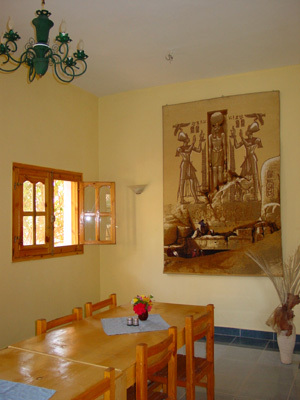 We are located on Luxor's Westbank - in the village Gezira El Bairat, three minutes walking distance from the ferry to Luxor town. 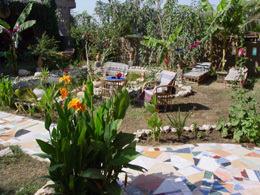 Situated opposite the busy town of Luxor and close to most archeological sites which are interesting for every visitor - the El Fayrouz is an ideal place for a relaxing holiday. 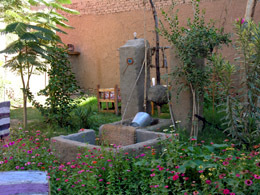 It will be your starting point for many trips and experiences in Luxor. 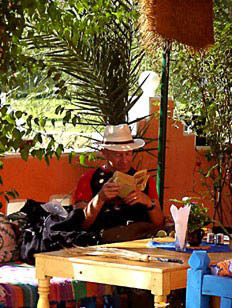 There is also a restaurant in the hotel, Internet access is available (DSL and wireless) and a small library can be found as well. 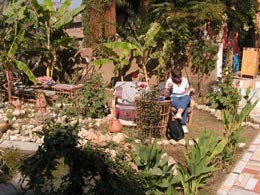 At the rear of the hotel, in our big garden, you can breakfast under banana trees, watching birds or the fishes in our pond. After your tours you will find here an ideal place to relax or to enjoy some of the delicious offerings from our restaurant. 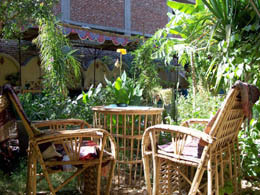 In our garden you will find a wide vatiety of local trees and plants which we will gladly explain to you. 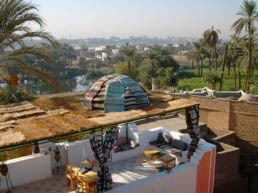 From our three roof terraces you have an marvellous panoramic view over to Luxor town, the Nile, the farmland around, the village of Gezira El Bairat and the impressive Theban mountain range. In the early morning you can watch the colourful hot-air balloons rising in the sky. 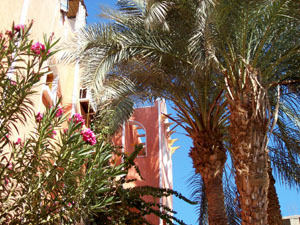 The sunbeds at the second level of our roofgarden are free for you to use. 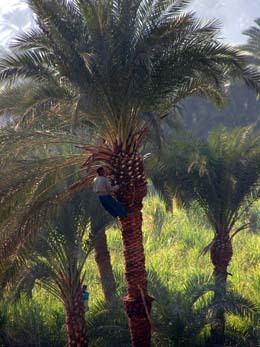 Another memorable highlight will be to experience the most beautiful sunsets over palm-studded countryside. A waterpipe (a traditional smoking pipe) will make your evening complete. 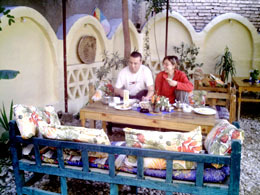 The roofgarden is also available to you for breakfast and all the meals our restaurant has to offer. Private parties and events can also be arranged for your special needs.